Apple just launched their latest smartphones – the iPhone 5S and the iPhone 5C. 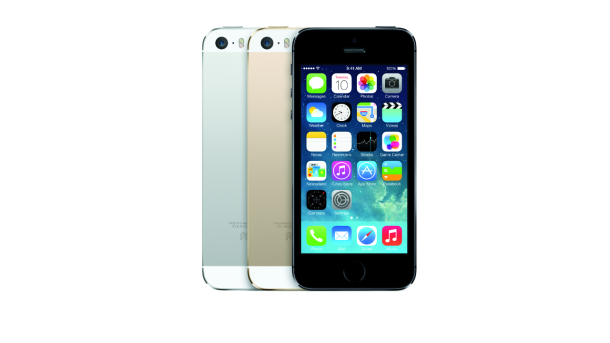 The iPhone 5S is a speedier version of the iPhone 5 with new features such as a fingerprint scanner and dual LED flash. The iPhone 5C is a slightly cheaper iPhone that still has high specs and comes in multiple different colors. Alongside the new hardware came news of the launch of iOS 7 which will be available for those with a iPhone 4 or later to install for free on September 18th. The iPhone 5S is the new flagship phone from Apple. It’s said to be twice as fast as the iPhone 5 due to an upgraded processor called the A7 which is the first of any mobile processor to operate at 64 bits. For the foreseeable future though – that will remain a marketing gimmick and not one that provides substantial value to customers. Alongside this runs a new chip which hasn’t previously been found in Apple devices specifically to control graphics and motion called the M7. At the keynote, Epic Games demonstrated their new title, Infinity Blade 3, on the iPhone and the graphics were fantastic. The primary new feature on the device is a fingerprint scanner. This is fitted into the home button and ensures that only those who have permission to use the iPhone 5S are able to do so. Multiple users can be registered so you can still share your iPhone with friends. The fingerprint scanner should help reduce theft and also provide greater data security for businesses. After the NSA scandals of this year, some people might be scared of giving their iPhone a fingerprint, but thankfully Apple has ensured that the fingerprint data is kept securely on an encrypted part of the phone that isn’t accessible by the rest of the device. The camera has also got a substantial upgrade and now features an aperture at f/2.2. It also has two LED flashes, one in white and one in amber. These really improve the quality of photos taken in low light situations. The camera can also take video at 120 frames per second in HD which allows a new slow motion video app to work. The battery in the iPhone 5S has also been upgraded so you should be able to do more between charges than with the iPhone 5. Apple claims you can get 10 hours browsing time on either 4G or WiFi, and 10 hours talk time over 3G. Despite these improvements, it is still likely that you’ll want to charge your phone every night. The unveiling of the iPhone 5C is somewhat of a departure from Apple’s usual one device fits all strategy. Many investors have been pushing Apple to launch a cheaper phone, and it looks like Apple has finally caved in – but in their own fashion and definition. The iPhone 5C isn”t as powerful as the iPhone 5S, but it’s about as fast as the iPhone 5 and like that device features a 4 inch Retina display. The subject of ‘cheaper’ though is tricky because this phone still sells upwards of $500+ for an unlocked version. The iPhone 5C does come in more color choices though – for the fashion conscious crowd who wants to differentiate and make a statement.Both phones will be available on September 20th. There was something in the launch even for those who can’t upgrade yet, for example, if they are stuck in a contract. News that iOS 7 was launching in just over a week was welcome, and anyone with an iPhone 4 or later, or an iPad 2 or later, can upgrade for free. They will also be able to download Apple’s productivity apps (Pages, Number and Keynote) for free, alongside movie editor iMovie and photos app iPhoto. Google rumored to unveil the Nexus 5 on October 14th!